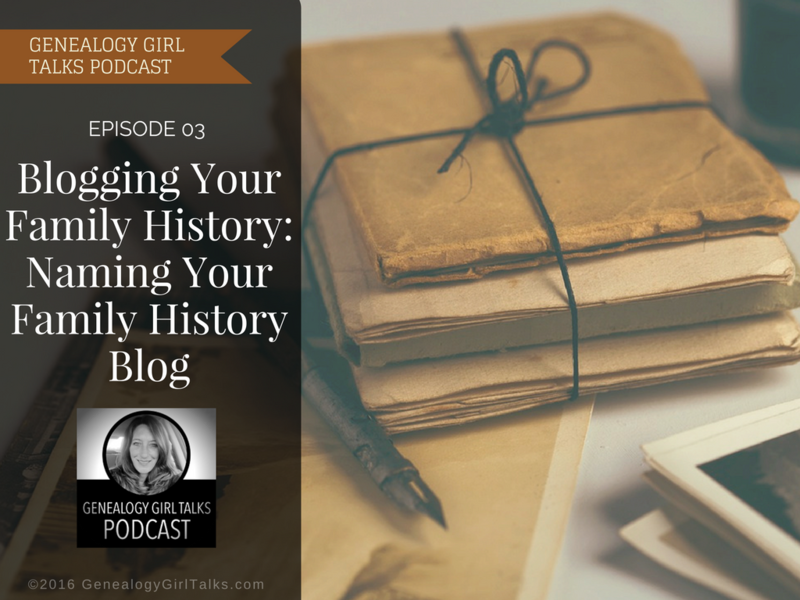 In this episode of the Genealogy Girl Talks Podcast I discuss creative ways to use when naming your Family History Blog. There are several things to consider when naming your blog. Whether you are creating a Family History related blog or any type of blog you should consider these three key components to naming your blog. Remember to keep your blog name simple, make it memorable, and select a searchable name for your blog. These three components will help others find your blog! You can find the show notes for this episode at http://genealogygirltalks.com/episodenamingyourblog.